NASHVILLE – September 1, 2016 – Fans will get an up close and insightful look at RIAA’s top digital Country male artist of all time Jason Aldean as his 2016 SIX STRING CIRCUS TOUR takes the spotlight for the first-ever “CMT Concert of the Summer.” Filmed during Chicago's second-annual Country LakeShake, the 90-minute event will premiere Saturday, Sept. 3 at 8:00 pm ET/PT only on CMT. "One of Country music’s emblematic superstars" (Hits Daily Double) gives an inside look at at his bigger-than-ever production and a setlist spanning over 17 career No. Ones, and new music off of his upcoming seventh studio album THEY DONT KNOW (Broken Bow Records) avail. Sept. 9. Aldean is joined by the best-selling duo in country music history, Brooks and Dunn, Multi-Platinum singer/songwriter Thomas Rhett and A Thousand Horses. The inaugural event amplifies the concert going experience with exclusive on-the-scene and behind-the-scenes access including capturing artists pre-show rituals, the adrenaline fueled moment as they anxiously await to take the stage, as well as post-show thoughts from the unique POV of both the artists and the fans. For artist photos visit cmtpress.com. Chicago's second-annual Country LakeShake, a three-day, two-stage country music festival, featured a heavy-hitting lineup led by Jason Aldean, Lady Antebellum, Tim McGraw as well as Brooks & Dunn, Sam Hunt, Martina McBride, Kacey Musgraves, Thomas Rhett and more. 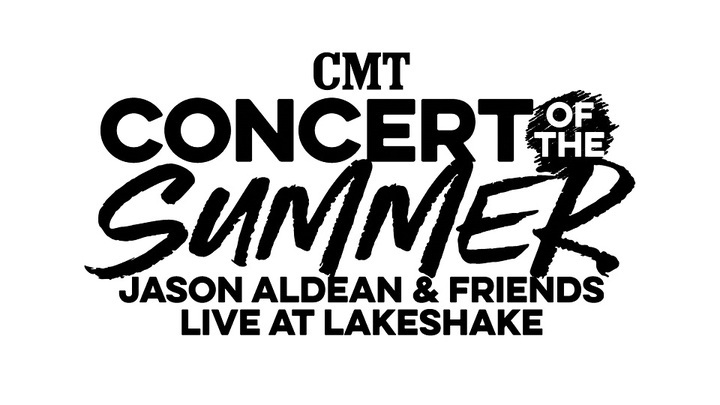 Taking place on the scenic FirstMerit Bank Pavilion at Northerly Island this past June, Live Nation's Country LakeShake is part of Live Nation’s premiere family of country music festivals. Fans can join the conversation at Facebook: facebook.com/windy-city-lakeshake-festival, Twitter: @LakeShakeFest Instagram: @LakeShakeFest and join the conversation on Twitter, using #LakeShakeFest. Live Nation Entertainment, Inc. (NYSE: LYV), or Live Nation, is the world's leading live entertainment company comprised of global market leaders: Ticketmaster, Live Nation Concerts, Live Nation Media & Sponsorship and Artist Nation Management. For additional information, visit investors.livenationentertainment.com.